iScore Baseball / Softball Scorekeeper is the easiest and most intuitive way to track a baseball or softball game. With the #1 Baseball Scoring app for the iPhone and iPod touch, you can score youth baseball/softball, high school games, college games, and even professional games just like the pros. Thank you to the iScore community for your continued support. Your mobile device must have at least 22.49 MB of space to download and install iScore Baseball / Softball Scorekeeper app. 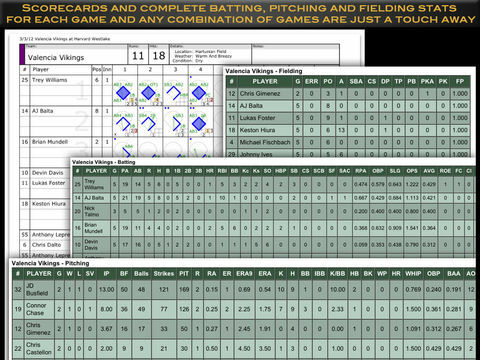 iScore Baseball / Softball Scorekeeper is FREE to download. Hurry up to get this app for free!